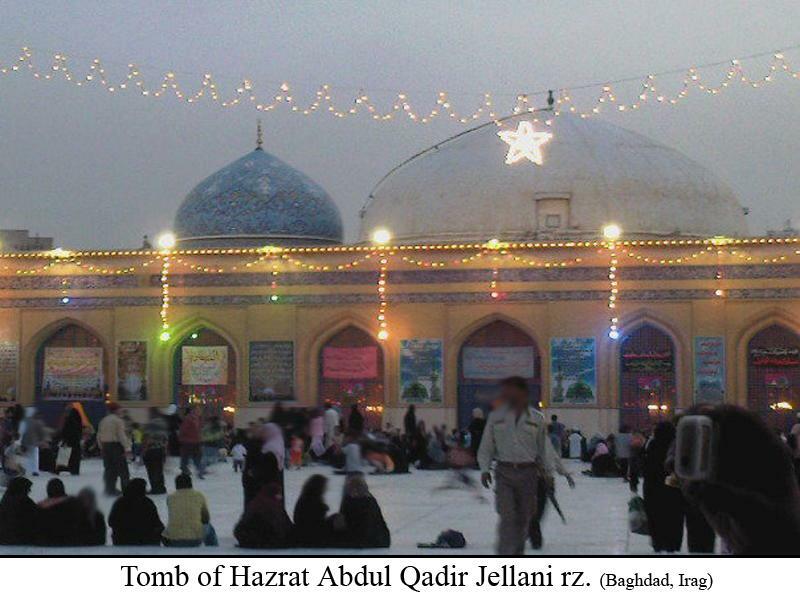 Abdul Qadir Jilani (رَضِیَ اللہُ تَعَالٰی عَنْہُ) say’s when he started his divine trainings in the wildernesses of Baghdad; he met an individual who was very attractive and had a Religious and sparkling face. The person inquired if he would like to stopover with him. 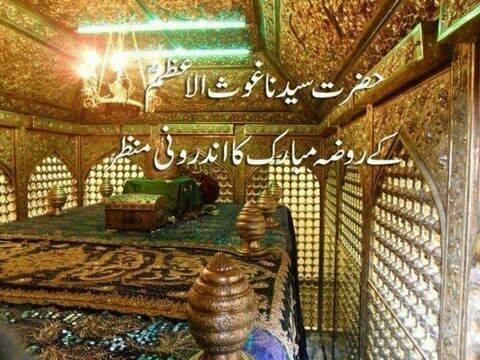 Abdul Qadir Jilani (رَضِیَ اللہُ تَعَالٰی عَنْہُ) said that he would love to. The person then stated that this could only be done if you promise to be obedient to my commands and never to question my sayings or actions. Abdul Qadir Jilani (رَضِیَ اللہُ تَعَالٰی عَنْہُ) instantly agreed upon this. The person then ordered Abdul Qadir Jilani to sit at a recommended place and not to move till he returned back. The person left and returned approximately after one year and found Hazrat Abdul Qadir Jilani (رَضِیَ اللہُ تَعَالٰی عَنْہُ) still seated at the prescribed place. He spent a few moments with Abdul Qadir Jilani (رَضِیَ اللہُ تَعَالٰی عَنْہُ) and then asked him to sit and wait for him once more. This person left and returned again after one year. He once again spent some time with the Great Saint and then left again giving him the same orders as he had done twice. He then came back after a year and along with him brought some milk and (bread). At last he proclaimed “I am Hazrat Khizhar (عَلَیْہِ الصَّلَاۃُ وَالسَّلَام) and I have been asked to eat this food with you and so they ate. Huzoor Ghous-e-Azam (رَضِیَ اللہُ تَعَالٰی عَنْہُ) is also the writer of numerous volumes on an immense quantity of topics. His volumes overflow with oceans of Knowledge, Intelligence and spirituality. The most renowned volumes amongst all others are; Ghuneyah-tut Taliben and Futtuhul-Ghaeeb. Exceptionally many of his speeches were noted in script by many prodigious scholars that attended his gatherings. Many of these texts are still well-preserved in their actual form upon this day in different places of the world. Transformation of people began by providing speeches and educating them in the Madrassa which belonged to Sayyedi Sheikh Abu-Saeed-Makhzomi (رَحْمَۃُ اللہِ تَعَالٰی عَلَیْہِ). The people of Baghdad and adjoining cities now arose to gather to the speeches of Huzoor-e-Ghous-e-Azam (رَضِیَ اللہُ تَعَالٰی عَنْہُ) in huge numbers and the Madrassa became very small for the gatherings. A time came when there was not enough place inside the Madrassa, people were forced to assemble out on the pavements and street to attend to his speeches and guidance. Later a few houses surrounding the madrassa were bought and merged to make the madrassa area big but to all surprises even this proved too small. 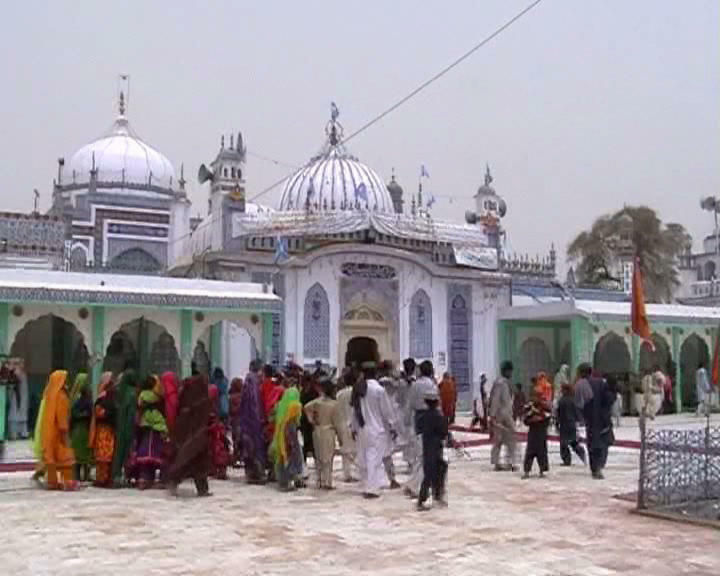 The sitting place (Mimbar) of Huzoor Ghous-e-Azam (رَضِیَ اللہُ تَعَالٰی عَنْہُ) was then shifted in a great open area where approximately more than 70 thousand people could easily attend in each of his speeches. It was one of his miracles that even the person sitting last in the gathering could easily and clearly understand and hear him just as the person who was sitting in front of him. Please note; IN those days the invention of loudspeaker was still not made and His Excellency (رَضِیَ اللہُ تَعَالٰی عَنْہُ) would stroke the heart of each and every person attending the speech even if they were huge in numbers. His speeches turned out to be so eminent that in a very small spell, it fascinated people hearts from all parts of the world, hence making Baghdad the heart of education and spiritualism once again for ever. He would deliver speeches usually on Friday, Wednesday and Sunday and the exercise continued for about more than 40 years. May Almighty Alah (عَزَّوَجَلَّ) always shower more and more spiritual blessings upon him (رَضِیَ اللہُ تَعَالٰی عَنْہُ)? Ameen! Abdul Qadir Jilani (رَضِیَ اللہُ تَعَالٰی عَنْہُ) was born on the 1st of Ramadan 470 Hijri which appears to be the most favored date amid the learned scholars of Islam. His birth was a great sacred sign for the Muslim Ummah as it was not only the birth of a child but it was actually the upcoming of the Sultan of all the (Awliyaah’s), which had been forecasted for centuries before his holy birth. 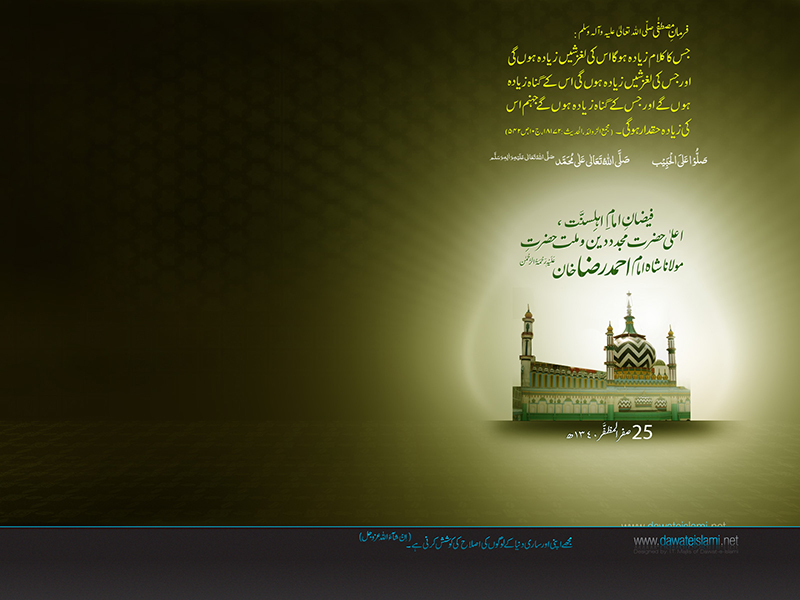 There are many marvelous events which encircled the birth of Huzoor Ghous-e-Azam (رَضِیَ اللہُ تَعَالٰی عَنْہُ). Hazrat Sayyeduna Shahabudden Suharwaardi (رَحْمَۃُ اللہِ تَعَالٰی عَلَیْہِ) mentioned the following miracles (Karamaath) which encircled the holy birth of Ghous-e-Azam (رَضِیَ اللہُ تَعَالٰی عَنْہُ) in his famous book “Manaaqib-e-Ghousia”. When he was born, he had the birth imprint of the holy footprint of Rasoolullah (صَلَّی اللہُ تَعَالٰی عَلَیْہِ وَاٰلِہٖ وَسَلَّمَ) on his shoulder. 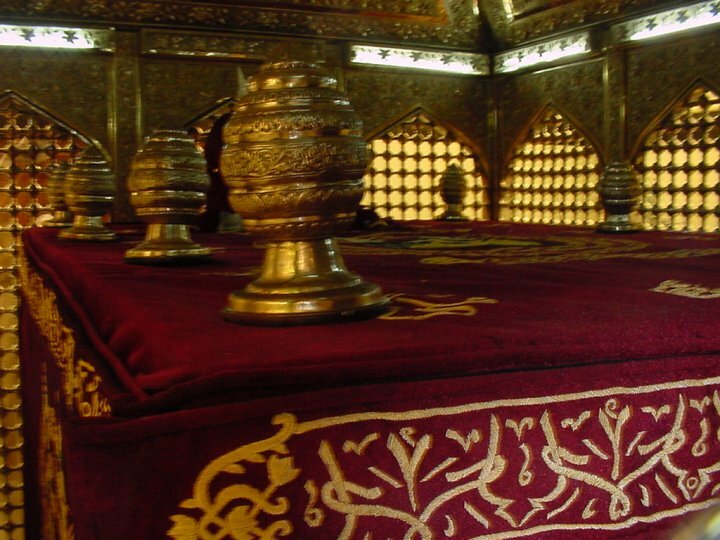 This is the evidence of his Wilaayat and Almighty Allah (عَزَّوَجَلَّ) gifted delightful greetings to his parents in their dream that their beloved son would be the Sultan-ul-Awliyaah and those who confront him would be deceived (Gumraah). On the night of his birth approximately 11 hundred males were born in Jilaan Shareef and every one of them was a (Wali Allah) friend of Almighty Allah (عَزَّوَجَلَّ). He was born on the night before the holy month of Ramadan. During the whole month of Ramadan amid Sehri and Iftaar time, he not once consumed milk from the time of (sehri) and afore the spell of Iftaar. In common words, he fasted from the very day he was inborn. His sanctified mother mentioned: “He would never cry asking for milk the complete day and would only consume milk at the time of (Iftaar) Subha-nallah! Masha Allah”. Huzoor Ghous-e-Azam (رَضِیَ اللہُ تَعَالٰی عَنْہُ) was not alike other offspring’s who would contribute their precious time playing and tricking around. From an affectionate age, he would spend his time in the true memories of Almighty Allah (عَزَّوَجَلَّ). By chance if he ever anticipated joining other children, instantly from an invisible source a voice would be heard saying: “Come towards (Me) dear blessed” Initially, on hearing this say, he would become frightened and would rush to his mother and be seated on her lap. As the time passed, he became familiar to this voice, and now instead of rushing to his mother, he would sacrifice the thought of playing and dwelled in the memories of Almighty Allah (عَزَّوَجَلَّ).